There are almost 500,000 people in the United States working on visas who attended college and may have wracked up student loan debt in the process. But for these students, getting a solid rate on their student loans through refinance has been challenging. Most lenders in the United States don’t loan to visa holders, leaving them stuck in higher interest loans - even though they may qualify for better rates. That’s changing with new technologies, and Prodigy Finance is leading the way. 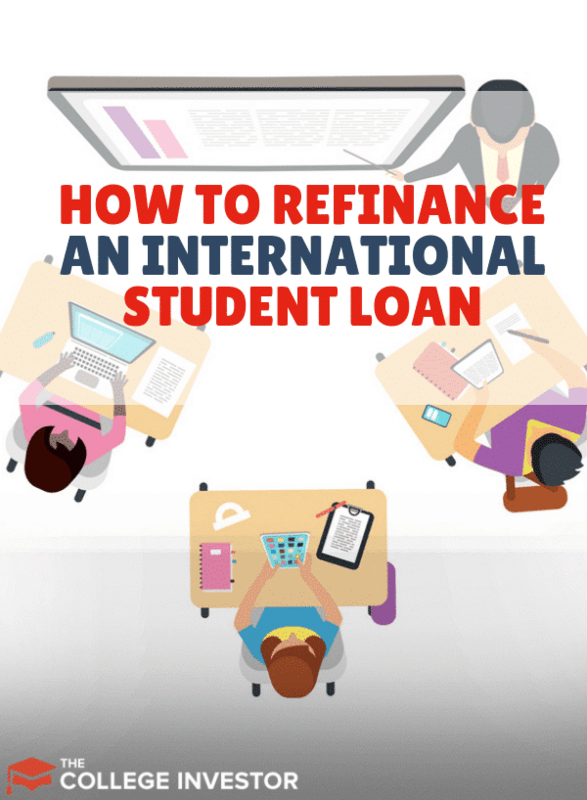 Check out our guide to refinancing an international student loan below or, if you already know you want to start saving, skip straight to Prodigy Finance here and see your options. ​Student loan refinancing is the process where you replace your existing student loans with new ones. The goal is to lower the interest rate, lower the monthly payment, or both. This can help make the loan more affordable, and potentially save money over the life of the loan. What does that mean for international students? That first factor - being a citizen - shuts out a lot of potentially highly-qualified borrowers who are working in the United States on a visa. These students may have gone to college or graduate school here, are working here, have a high paying job, but because they aren’t citizens, they can’t refinance their student loans. Almost all US banks and credit unions require that borrowers be citizens in order to refinance their student loans. However, graduates who are working in the US on a visa typically are prime candidates to refinance. Why? They have steady jobs with good income, and their student loan debt is typically manageable. So with deserving borrowers wanting to find a way to save on their student loans, what’s being done in the financial space to meet their demand? According to Ricardo Fernandez, Head of Refinance at Prodigy Finance, “The market opportunity for top schools in the USA for refinance is $4 billion, and the next step is to expand our reach by networking with other financial institutions in the US and UK. The global economy calls for greater integration of financial services and products, particularly for the 258 million people living outside of their home country, which Prodigy Finance is helping advance”. Focusing on this underserved pool of international professionals, Prodigy Finance refinance product can save up to $20,000* on student debt. Given the rates on existing student loans for international students can be well over 10%, lowering the rate on these loans can provide huge savings. Refinancing options for international working graduates are rare as local lenders are not structured to support cross-border funding or enforce international loan repayment – and these alumni are often on ‘temporary resident’ visas such as the F1, OPT and H1-B. However, most of these workers are in high-wage professions. They wouldn’t be in the United States otherwise! These are engineers and medical professionals, nurses and dentists, even lawyers and government workers. Prodigy Finance sets out to address the challenges faced by ex-pats working and contributing to the U.S. economy. ​Unlike traditional banks, who do almost all of their lending based on a credit score, Prodigy Finance assesses applicant loan affordability on numerous variables including the university attended and current salary, among others. Who is eligible to refinance with Prodigy Finance? Unlike other student loan refinancing option for international students, Prodigy Finance offers flexible repayment terms. You can get a loan with terms from 7 to 20 year, and rates from LIBOR + 4%**. They also allow you to build your credit in the United States as you make payments on your loan. This can help if you plan to stay in the United States and want to get future financial products, like a mortgage. The great thing about Prodigy Finance is that there are no origination fees, and there are no prepayment penalties. That means you can pay off the loan early without issue. If you have a co-signer on your existing loans, Prodigy Finance will let you release them with your new loan. Most traditional lenders require a guarantor where the main applicant has minimal credit history or moves abroad. That’s not the case with Prodigy Finance because they use alternative credit approval. A big drawback is that Prodigy Finance isn’t available everywhere yet. They are only available in certain states. Eligible US states include: CO, CT, FL, GA, IL, KS, KY, MD, MS, MO, NE, NH, NJ, NM, NY, NC, OK, OR, PA, SC, TX, UT, VA, WI. If they are available where you are, they are a viable option. And if they’re not? Register your interest so they can let you know once they’ve added your state to their portfolio (you can email them at refi@prodigyfinance.com). ​Being an international student and expat in the United States can be a challenge when it comes to dealing with your student loans. 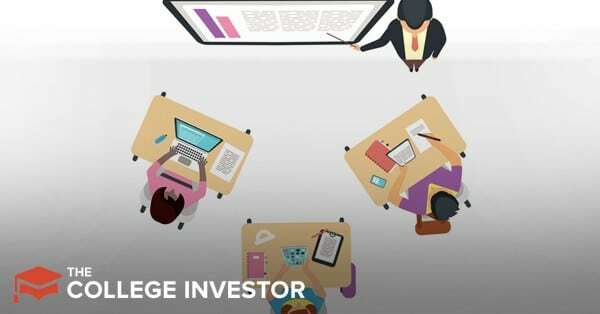 However, Prodigy Finance is working to change that for international student borrowers by offering a refinancing product tailored for your circumstances. It also has the potential to save you thousands of dollars over the life of the loan! Prodigy Finance Ltd is authorized and regulated by the Financial Conduct Authority. Terms, conditions and eligibility criteria apply.